Alfa Romeo has launched its new TCT automatic transmission in the MiTo which is available now in the UK. Mated to the 1.4 TB MultiAir 135bhp petrol engine the MiTo TCT uses a twin clutch gearbox for fast shifts and can accelerate from 0-62mph in 8.2 seconds, that's 0.2 seconds quicker than the manual gearbox version. The TCT transmission is also slightly more economical and is fitted with a Start&Stop system, helping it deliver a claimed average of 38.7mpg and CO2 emissions of 128g/km compared to 38.2mpg and 129g/km with the manual. 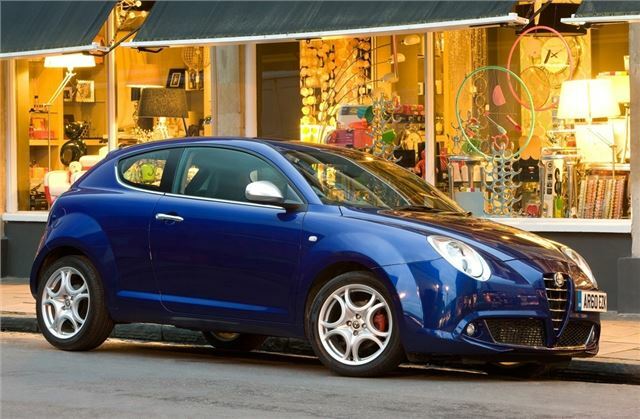 On sale noe, the Alfa MiTo 1.4 TB MultiAir TCT is available in Lusso and Veloce trims, with prices starting from £16,745. Designed to achieve the best performance on the road depending on driving conditions and on the driver's requests, the transmission interacts with the braking, engine control, Alfa D.N.A. vehicle dynamic control switch, Start&Stop, steering and vehicle stability control systems. This means it can modify the speed of gear shifts, manage the torque delivery, for instance on low grip roads, and can operate completely automatically or as a manual sequential gearbox. It is actually two gearboxes in parallel, each with its own clutch, which allows the selection and engagement of the subsequent gear while the previous one is still engaged. This guarantees continuous torque delivery and good traction. According to Alfa, the result is a driving comfort and sporty feeling far superior to that offered by conventional automatic transmissions (with a torque converter), with a quicker gear shift, the possibility of selecting between manual or automatic mode and a near-zero power loss during the gear change.